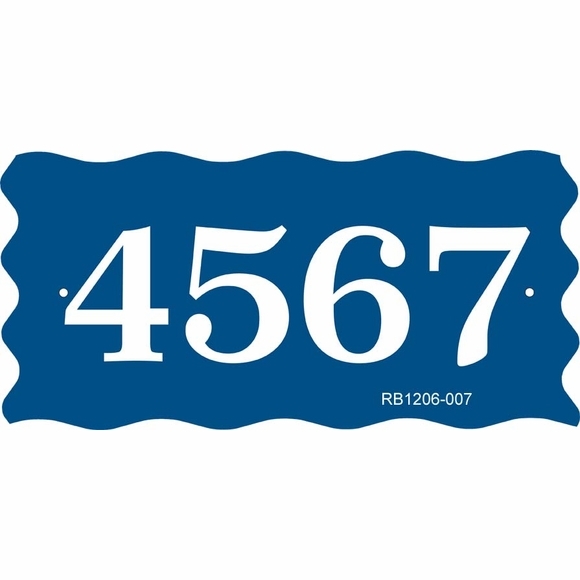 Personalized 12" x 6" Address Sign with Scalloped Edges - - rectangle house number plaque has one line that holds a maximum of four 3" characters. Made in USA. Scalloped (or Freewave) edges on all four sides make this address sign truly unique. Dimensions: 12" x 6" x 1/8".